For those who are interested, I thought it would be good to let you know about the conclusions the board and I came to last evening about uniforms. I’ll tell you the conclusion right up front and then I’ll go into more detail about the pathway of thinking that led us to this decision. Like I indicated before, I didn’t know exactly where the question would lead when I asked for your responses to the idea of uniforms at ICA, but I knew it would be interesting – and I wasn’t disappointed! I appreciated and have taken into account every piece of input received. After dialogging with the staff and board the last couple of days, we have reached the conclusion that now is not the best time to implement daily uniforms at ICA. As an alternative for accomplishing some of the goals for our school that uniforms would have contributed to, we have decided to have a dress protocol that we will wear for performances and special occasions, such as Grandparents Day, Spring Fair presentations, Family Award meals to name a few - and on field trips where it seems appropriate (not muddy/outdoor activity type field trips) as it makes it easier to see who is part of our group and who is not – helps with safety. In addition, we’ll also clarify and enhance our current dress code to reflect the culture of serious study and joyful play we would like to encourage here at ICA. As soon as we’ve worked those details out I’ll attach it to a future message Tuesday – and it will be available in the Family Handbook for the 17-18 school year – which is always available on our website. On one hand we have parents and students who have some genuine fear about being ridiculed within our community. Based on my own observations and understanding the last five years specifically, I didn’t really think this would be an issue ; however, some of you who see different pockets of community – whatever arena that may be, have a very different opinion. I would hate to be wrong about this and subject our students to unnecessary unkindness. So that is a part of the decision. The other side of that coin that I hadn’t considered that a few parents have brought up recently is the “elitist” perception. That in some way we are saying to our community by our children wearing uniforms, “Our students are smarter, richer or better than yours.” That is NOT AT ALL a message I would ever want to send – but regardless of what I want to say, it seems some would perceive it that way. 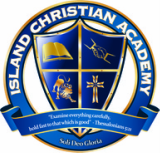 A couple of people have told me about conversations where a parent would say of ICA, “Oh I wish my kids could attend that school”, or a student who expressed that same sentiment. I don’t want to send a message of exclusivity. I feel like we’ve made great progress in our relationship to the community – specifically the public school – and would not like to see that trend go backward. We just live in a unique community. As I said before, I’m aware of quite a few classical schools, but when I look at their context – even though some of them are smaller than our school – just in their first 5-10 years of operation – and some MUCH bigger than ours - all are in large population centers with 100,000 plus people within a 8-10 mile radius of their school. Living on an island we draw from a population base that is less than 20,000 people. Of those schools, none that I know of have students who interact with their public school system to the level that many of our students do. So….in all of these ways the board and I have become convinced that daily uniforms may not be in the best interest of ICA at this time. The special occasion protocol will be nailed down in the near future, but will likely include, navy or black colored slacks or skirt/jumper for girls if they choose that. Then on top a white shirt with either a navy cardigan or vest with logo, or just a collared white dress shirt with a logo. Shoes would be dark or earth tone with socks/tights that match them hemline of pants or skirt. We’re looking to work with a company called School Belles for logo items that is very reasonably priced. If you have thoughts or recommendations on this, too – feel free to pass them my way. I do love hear your thoughts. Thanks for taking this journey with me! You are each wonderful parents, and our staff is so glad to be able to partner with you to raise students who love God, who love people, and who love to learn!